PLEASE NOTE: As part of the Queensland Museum, The Sciencentre is undergoing a multi-million dollar redevelopment, and will close its doors on Sunday 3rd December 2017. The new Sciencentre is set to reopen in mid 2018. Stay tuned for updates! Sunday 3rd December 2017 – Last day to experience the famous Action Stations and Body Zone section of the Sciencentre before it closes permanently. Wednesday 6th December 2017 – The Museum Plaza Entry (facing Melbourne Street) on Level 1 will also close and not open again until March 2018. Normal museum entry will be via the dinosaur garden on Level 0 on Grey Street or Level 2 from the Whale Mall. 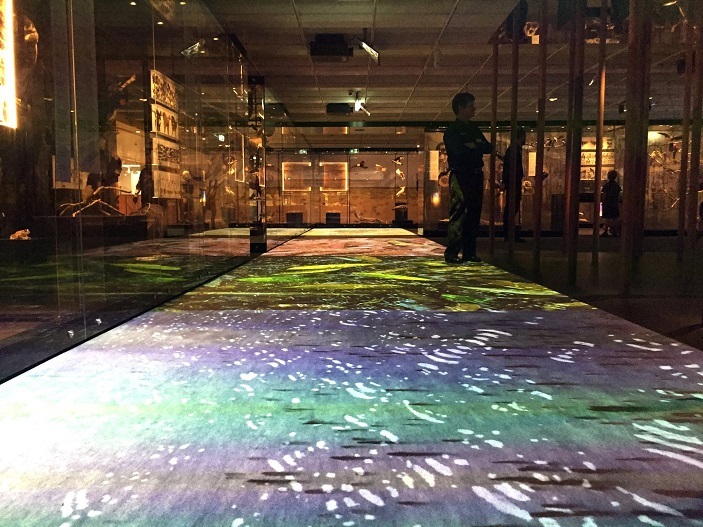 Sunday 21 January 2018 – Perception Deception, the travelling exhibition from Questacon will be closed temporarily. All areas of Level 1 will be closed. You can also keep up to date on the development by visiting Queensland Museum website, and social media channels such as Facebook and Instagram. Wild State at the Queensland Museum is a new, permanent gallery celebrating the diverse animals and habitats that make Queensland so incredibly unique and special. Did you know Queensland has more animal species than any other state in Australia? Queensland is also one of the most biologically diverse places on earth. 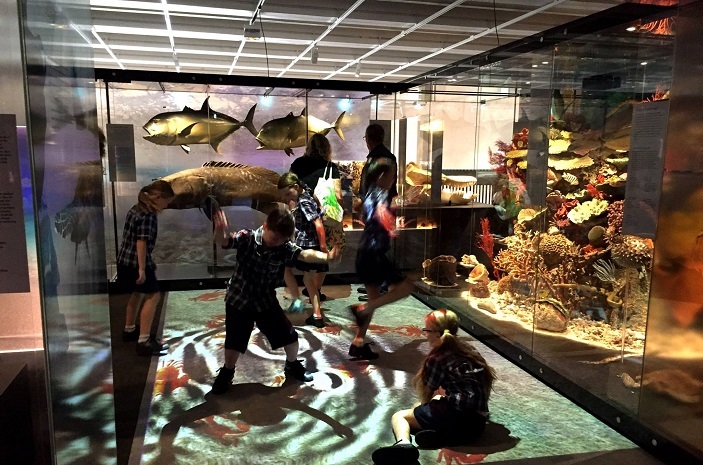 This child friendly museum exhibition offers you and your children an opportunity to immerse yourself in the natural history of Queensland and discover what really makes this such a special place to live. 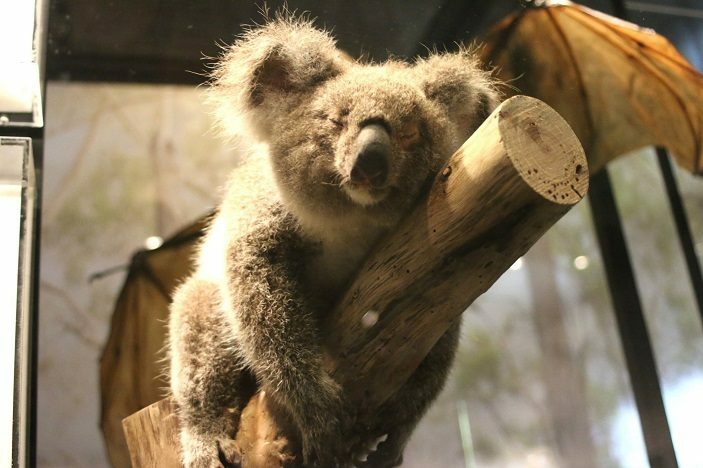 The Wild State Gallery features 300 Queensland animal displays – all created by the museum’s taxidermists. Take a walk through the 5 breathtaking habitats that make up Queensland. Learn about the 4500 species that have been described by the Queensland Museum. Uncover why Queensland is the most biodiverse state in Australia. Learn about some of the most important discoveries to come out of research conducted in the 154 years of Queensland Museum history. Watch as your children delight and play on the interactive flooring displays, wind amongst the tree-like wooden pole forest and explore the small crawl spaces designed especially for them. 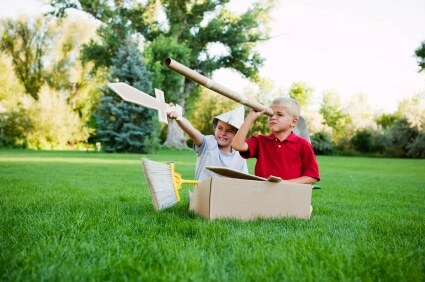 Make sure they discover the animals that hide within them and listen out for the sounds they make. Relish in the wonder that is one of the most magnificent places on earth celebrated in the one incredible gallery. Amazing audio introductions to each habitat that will inspire and invigorate the senses. 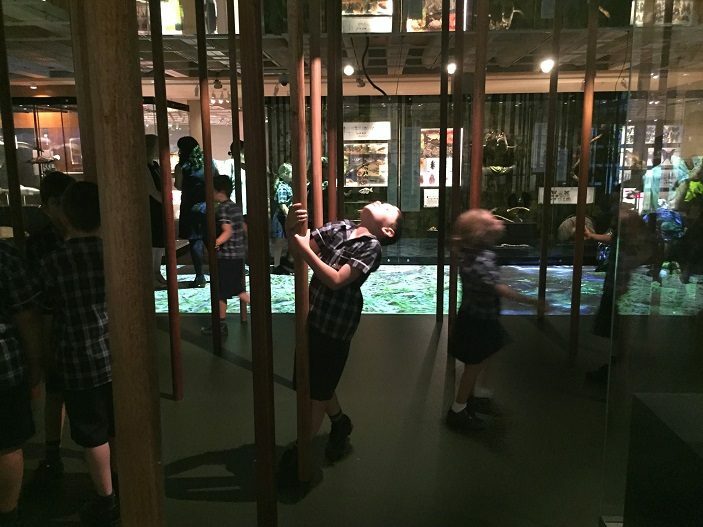 Read our in person review here and see what Brisbane Kids thought of it! The Wild State Gallery is centred around the 5 Queensland habitats, that together ensure the state is one of the most biologically diverse places on earth. 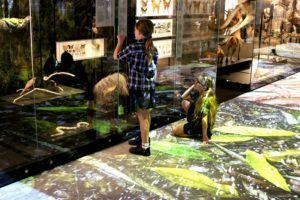 As you walk through the gallery with your children you will have the chance to really find out what they know, and learn together, and talk together about the wonderful state of Queensland that is their home. The Arid Outback. Freezing cold at night, scorching heat during the day. If there was ever evidence of the power of adaptation then you will find it in the outback. In addition to having to find food and survive as a species, animals face seasonal changes that alter the whole landscape. It really is a sunburnt country making way for flooding rains. The Australian Bush. No less volatile, and ever more diverse, the Australia bush is teeming with noise, activity and our beloved koalas. Imagine the sound of cicadas, the squawks of the parrots and the slithering of the incredible monitor lizard as it makes it’s way through grasslands and acacia shrubs. The audio tones of these animals will no doubt bring forth the fun chance to mimic the sounds of the Australian bush together. I wonder if you have cicadas at home that make similar sounds or if you could take a quick drive out to a parcel of bushland to hear some in their real habitats! The Rainforest. It is the diversity of rainforest in Australia that makes it so special, so rich in unique animal and plant life. From the tiniest snail that sits under a fallen log to the majestic endangered Southern Cassowary. Encompassing both the life on the floor of the forests and the life that extends to the the canopy of the tallest rainforest trees. Are your Brisbane Kids aware that there are different rainforests in Queensland? Can they name 20 animals that would live within them? Do they know that the Daintree is one of the oldest rainforests on earth? The Coast. It is where the land meets the sea that you will see the unique challenges faced by the animals that live within it. Tidal and seasonal changes see a life made difficult for the unique animals that call the Queensland coastal waters home. This habitat tour presents a wonderful opportunity to start a conversation with children about the beach and ocean that they sea on holidays and the coast that is also teeming with life, life that warrants their respect and future protection. 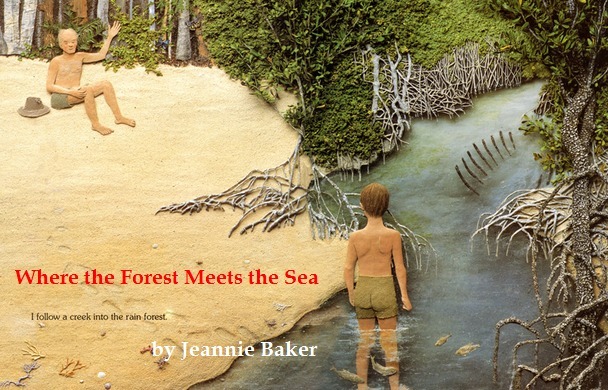 A great book to read further about this meeting of two lands is the Jeanie Baker book, Where the Forest meets the Sea. The Oceans. Extending from the coasts and surrounding our country, the oceans of the world make up a massive 70% of the planet. With strange animals and incredible adaptations to an underwater environment, there is much to learn. Children are so easily engaged by the strange underwater creatures that live in ocean waters. Extend your experience by taking them to some coastal areas after your visit. 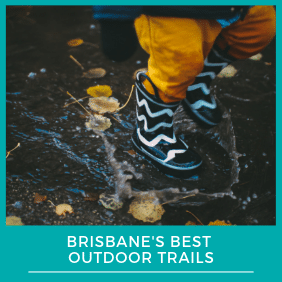 Enjoy the soldier crabs off the Sandgate foreshore or surprise the children by showing them the Mangrove Walk that sits hidden within our city along the Brisbane City Botanic Gardens mangrove boardwalk. Find out more about Mangroves and different mangrove walks in Queensland here. Find it on the fourth floor of the Queensland Museum which is the floor above the Discovery Centre. 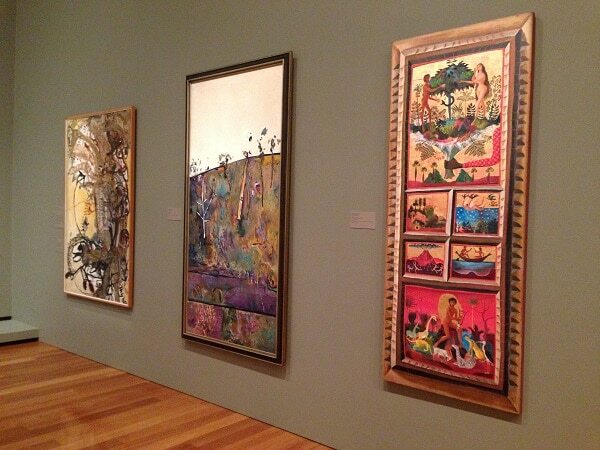 It is a free gallery and you are welcome to visit within the opening hours of the museum, 9.30am-5pm 7 days a week. There are toilets in the museum and a parents room with change facilities down in the Energex Playasaurus Place. There are lifts for disabled and pram access. 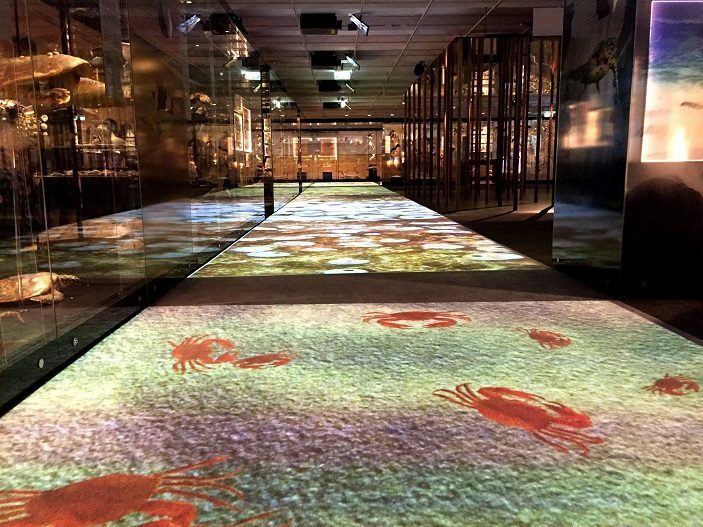 As with all the Queensland Museum’s exhibitions, you can expect a visual, auditory and tactile experience, child friendly, child welcoming and disability friendly. You can get to the Queensland Museum by car and park underneath or catch public transport including bus and train.